Globe3 is an integrated business management solution that empowers mid-sized enterprises to streamline their key business processes and manage change in today’s dynamic business environment. Globe3 has been providing ERP solutions for over 1,000 customers locally and regionally. 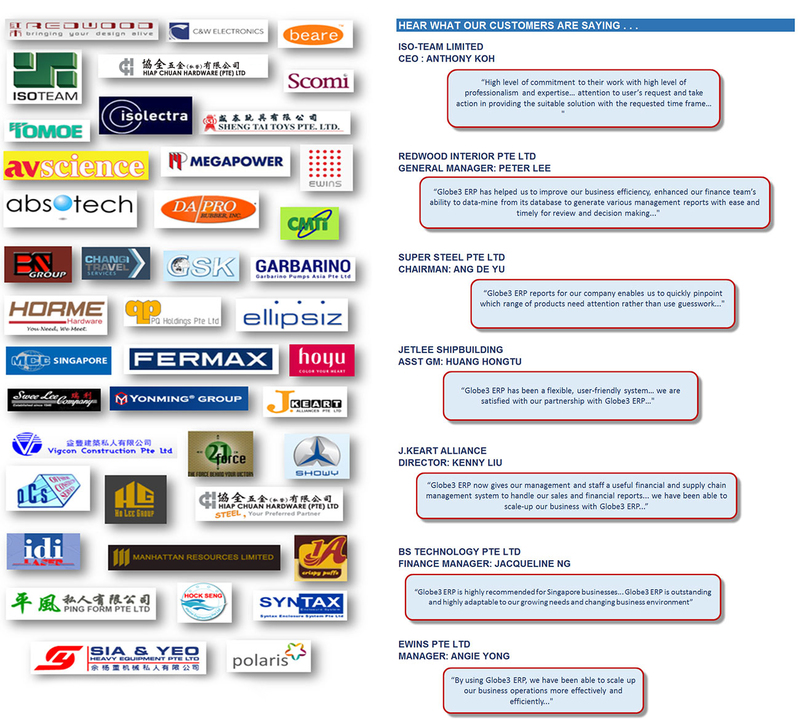 Please contact us at sales@globe3.com for a more detail customer reference list that is applicable to your industry.